Good. Paperback in good condition. Will have creasing to covers and/or spine. Edgewear/shelfwear. May have other defects such as discolouration to block edges etc. For further details please email. Fair. 0006130062 THE COVER IS DIFFRENT TO THE ONE THAT IS SHOWN. My sister finally convinced me to read an Agatha Christie novel, I having thought such books too shallow and sensational for my taste. I was wrong. The book is, obviously, a murder mystery but Ms. Christie has such insight into human nature, and portrays so insightfully the passions of love, pity, jealousy, and revenge, among others, that drive us to do the very best and worst that humans are capable of. A great read, even if you're not a mystery fan. 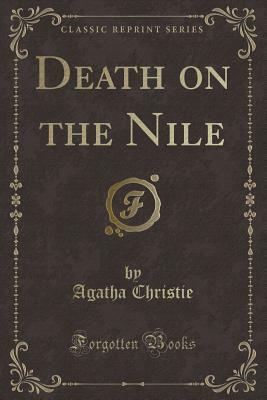 The book "death on the nile" by agatha christie is one of her best murder mysteries. With many twists and turns that you would hardly expect. the storylline is not quite as complex as some of her other ones but the uniqueness of the story makes up for it. For most of agatha christie books it is extremely hard to find out who did it but with this it gives ust the right number of clues. This story isnt just about murder, it is also about a romance story intwined with a hidden meaning. Also the book uses many places from the actual nile river. With it set in the early 20th century it really gives you the feeling of the time. a thorouhgly enjoyable read for all those wanabe dectetives out their and with the wittyness of the dective Mr Hercule Poirot just gives this book that extra touch that most books dont have.